You’re in for a real fun experience this week! In Episode 281, I talk with Ben Kahn, the creator/scripter of Heavenly Blues, coming soon from Scout Comics. I met Ben at this year’s C2E2 convention, and I enjoyed the first two issues from his new comic. We discuss the characters the series centers around, and why he’s completing his MBA. Be sure to let your local shop know you want this comic! For more about Ben, go to this link. Also, to keep up with Bruno Hidalgo, the great artist Ben collaborates with on the comic, be sure to check out his artwork here! 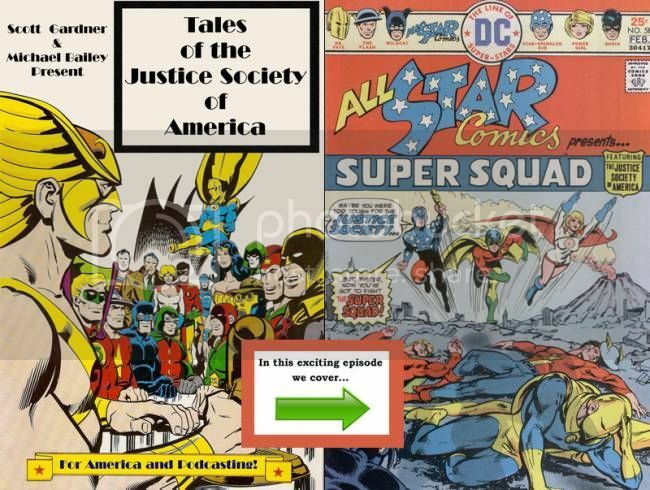 Comics in the Golden Age Episode 41: Hark! The Angel! Chris and Mike check out Timely’s The Angel! Angeli Arbitrium – that’s the name of the new comic from Joseph Bradford and his partners at TikiGodComics.com. During my recent trip to Shock Pop Comiccon in Fort Lauderdale, I met Joe and was introduced to his book during the first convention he attended as a comics pro, selling the first issue of this title at the very first booth he set up to tell people about the debut issue. As a result, I got to chat with Joe about how the book came together, including finding artist Kay. We discuss the format of the series, the characters and what he has in mind both for this book and other projects he will be sending our way. Don’t miss this fun and informative conversation with an up-and-coming creator! Episode 43 is Exploring The Multiverse’s first Halloween Special. We mix it up with some talk about “Halloweenish” type books. Horror, vampires, monsters, etc. Then we have a little discussion about costumes. Hellboy comes stomping and swinging into Burden Hill and meets the Beasts of Burden, and Burnt Weiners is on the scene reporting! Will Bo show too much cleavage to get the top anchor position? You will only know if you listen! The Weiners are joined by Brad, long time friend of Weed and former comic book junkie, who has given up the habit but is sucked back into thei dark and seedy world out of boredom. Brad tells us about an upcoming indie movie called ‘Sad Cafe’ that he graces, waiting for the call from Harvey Weinstein. Steege cracks open Rifts: Planes of Talara (Wildstorm) which is based on an upcoming MMORP. Bo checks out the last issue of Widow Warriors (Dynamite), Green Arrow (DC) and once again is floored by The Tick (New England). John jumps back into an old love of his Action Comics (DC), checks out the new creative team on Teen Titans (DC) and then dishes about the love story in Henry and Glenn (Cantankerous)! Weed decides to have mic problems (which is why he doesn’t appear for awhile during the episode) and lets us know what he really thinks about X-Men Vs. Vampires (Marvel), Hack Slash (Image) and Angel (IDW). You don’t wanna miss this episode of Alternate Reality as Jon gets an opportunity to set down with comic creators Peter David and J.K. Woodward to discuss their IDW collabotation “Fallen Angel”. We had an awesome time discussing everything from JK’s watercolor techniche to Peter’s frustration with DC comics and his eventual move to IDW. So settle in and prepare for geeky awesomeness and we talk with Peter David and JK Woodward.